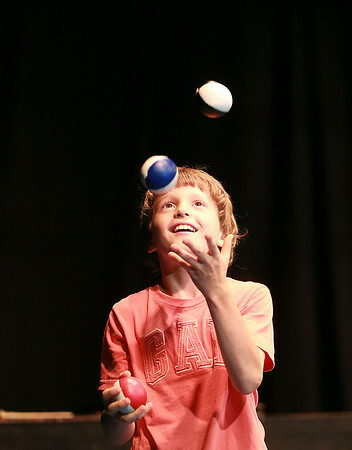 Artworks at Waring camper Thomas Kroa, 9, smiles while jugging during an end-of-camp Circus Major performance on Thursday afternoon. DAVID LE/Staff photo. 7/17/14.